The spirit world entered again into my next stop along the road, although in a more typically Western way with being told by Kyle, a South African bar manager, of two ghosts – going by the name of George and Henry – who haunt the little establishment he manages known as The Mitre, a former coaching inn that is on the road that comes in to Greenwich from Deptford. My theory in coming here, as part of my three days out taking this road before the start of my new job, is that this could have been the next place, after The Tabard in Southwark, where those travellers in Geoffrey Chaucer’s Canterbury Tales might well have stopped off to tell their next batch of tales on the second day of their pilgrimage to Canterbury Cathedral back in 1388 (or thereabouts). Certainly both Deptford and Greenwich are referred to in the prologue to The Reeve’s Tale. An interesting fact from what I’ve picked up online from the words in the original text saying: “Lo Greenwich, there many a shrewe is inne“, is that there is a theory that Chaucer wrote many of the tales in Greenwich in 1391 – and that the “inn of shrews” refers to the place where he stayed following his wife dying and being sued for debt, and even possibly questioning life as a consequence of that. 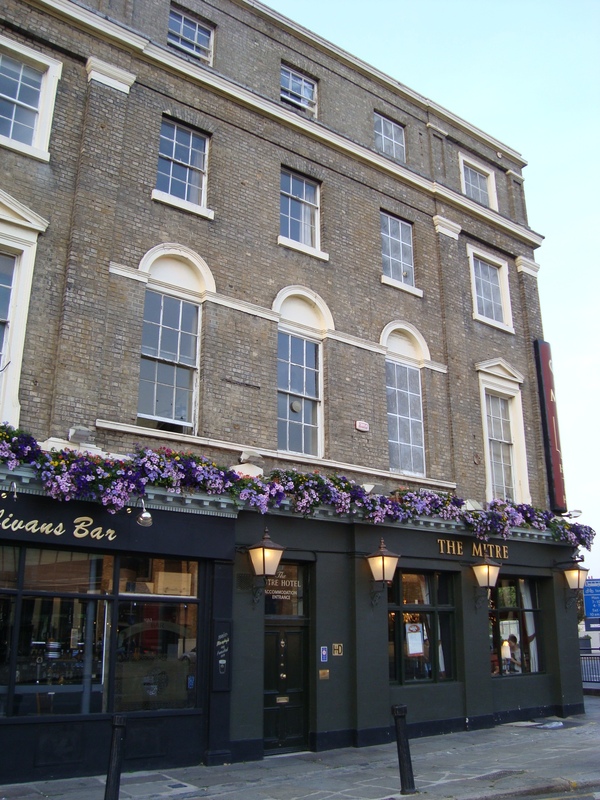 Of course, the “inns of shrews” could also relate to experience from his work in looking after The Thames Wall, from Woolwich to Greenwich, in his role as Commissioner of Walls and Ditches – a job he managed to pick up to save himself from the good or bad graces following the end of his days at court. Certainly no love was lost for the place!! 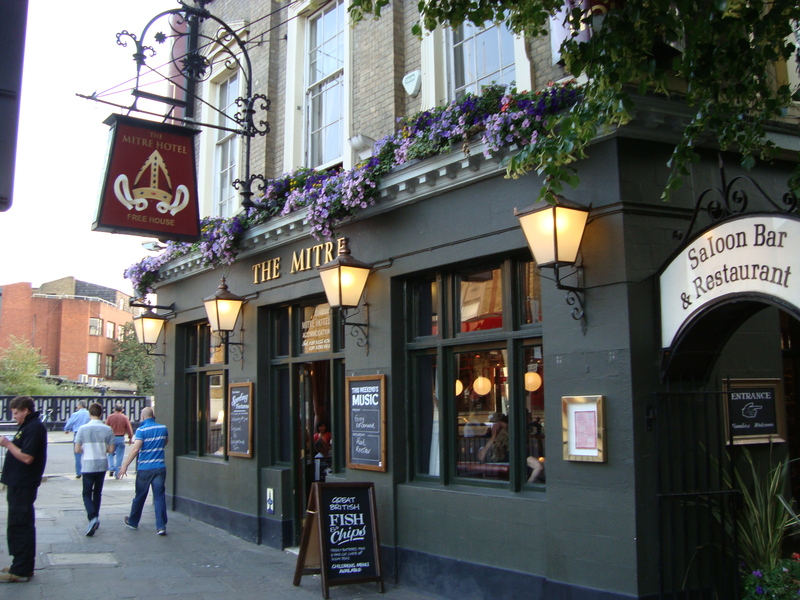 So ’twas to Greenwich, on the road in from Deptford, that I went to find The Mitre, the pub nearest enough to that former coaching inn, and equally near to where they might have stopped off for the night to hear The Reeve’s and The Cook’s Tale on that second night on the road. High Street in Greenwich - no shrews in sight! Clearly Chaucer held little store for the actual pub settings when it came to writing up the tales as, apart from The Tabard where the travellers started out from (and which the Host owned and regaled them into telling the tales), there is nothing concrete to say exactly where they stopped off each night – or during the day – to tell their tales. Indeed, many of the references refer to telling stories to each other while on horseback. Even in my parody of taking this road, geography is not so much a key factor as much as trying to recreate the genial atmosphere that can allow spiritually-aware or minded travellers to have places that they can find one another – and share, just like I was somehow lucky enough to find on my accidental pilgrimage in 1991. Of course, I met people and we shared stories on the road in the car too – however there’s something about doing that at a convenient and pleasant stop-off that has a greater charm about it. From finding that first location down in Winchester – a Youth Hostel on the site of an old mill race that is now closed and converted back into a National Trust site with a Pizza Express restaurant set into it – I first became aware of an under-current in this country between two very different sets of people whose views of life are very different to one another, as are their approaches as a consequence. Back in 1991, one of those sets of people seemed very materially oriented to me. They seemed more inclined to take time out to forget about the drudgery of life by embarking on some trail somewhere (as long as it had a decent walking track, along with a few good pubs on it serving good ale or some other beverage to imbibe while chatting about experiences they’d had along the way). The other, younger set were much less financially and materially aware – and were definitely seeking something higher to uplift their spirits, as well as generally trying to feel good about the world that they were going about in. It was the latter’s road that I followed back in 1991 – whereas it is the former’s that I have taken now. It is not because I am now either more materially conscious or disaffected with life however. Rather, it was from hearing about The Canterbury Tales back in 2005 – thanks to the BBC presenting a modern retelling of them along with an encouragement to people to read up on them and write – that I gained a different perspective of a subtle morality (and perhaps even spirituality?) of those other people whose road I did not take back then. What helps is that The Tales carry a truth of their own that anyone can relate to, and it’s almost like religion without the dogma and pressure to conform, or perhaps just a whisper of religion mixed in with a pragmatism and realism about life and its rigours. Some might even just call it “British”. Finding such places like I did in Winchester, a spiritual crossroads of these two ways of seeing and being, allowed me to discover these two very different (yet interesting) sets of people. Discovering the actual city, town or village where the juncture of these two very different roads meet has been a stroke of good fortune – Glastonbury, Winchester and Southwark being the main three. Unfortunately, on retracing my journey back in 2006, I was saddened to find many of the places in Southwark and Winchester have all but disappeared due to financial decline/make-over or spiritual/political review by either the Church or the local Borough Councils. 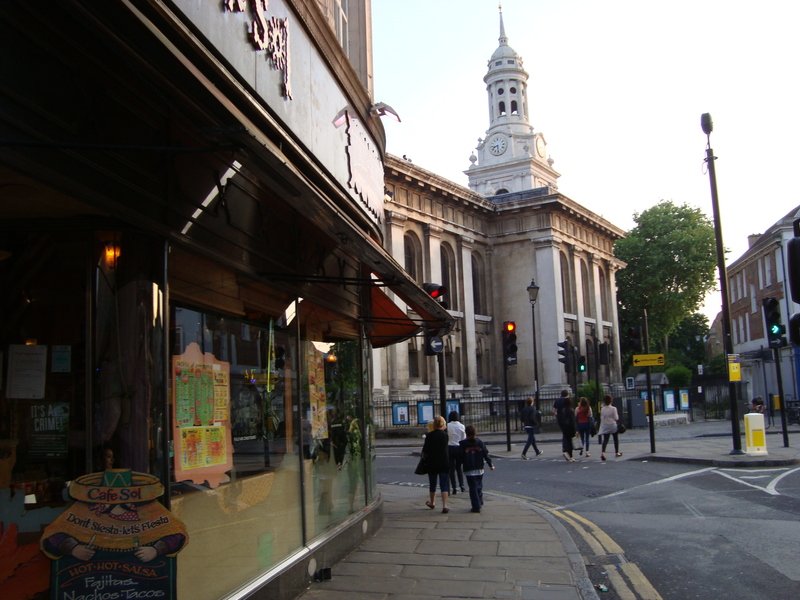 In a similar vein, there is less of an actual relevant tale to tell about The Mitre in Greenwich – apart from the fact that a coaching inn stood there up until 1827, before being destroyed by fire and then its reconstruction being destroyed by bombs in World War II as well. 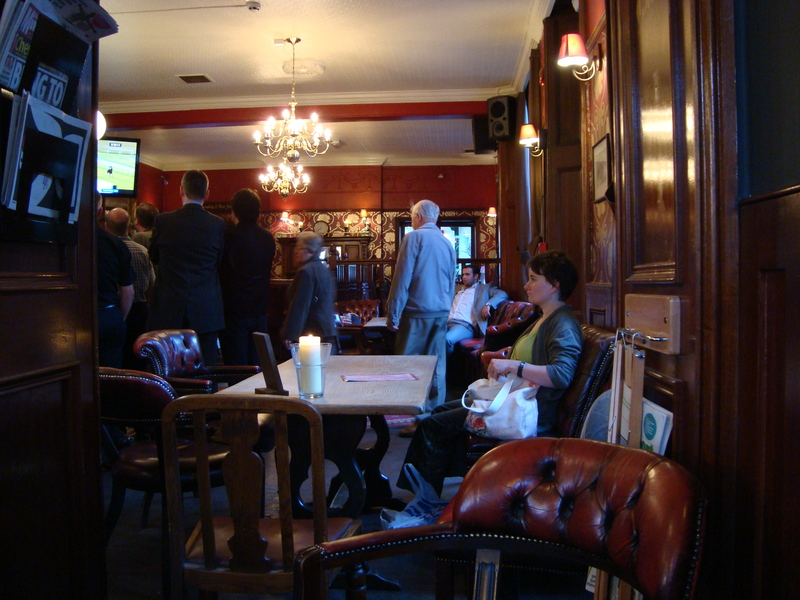 Still, The Mitre retains some of the atmosphere and local characters that I would expect a Chaucerian coaching inn to have, now, in the modern day where travellers can meet up – as much as such a place would had to have had back in the medieval times of Chaucer’s day. The key is that people would have needed to feel free to recount their tales for the amusement of one and all, and without reproach (apart from a little ribbing by their fellow travellers, from all accounts). As I was saying when we regrouped at The Gardener’s residence at the end of this journey (and see that posting again for some new photos of The Gardener herself and her allotment), the attraction of a couple of ghosts could make The Mitre a good place for us to go back to one night, in the not too distant future, and see if we can see them as well as come up with a few new tales of our own for helping me fulfill the quota of stories I need from retaking this trail now, here in the modern day. This entry was posted in Canterbury, Chaucer, Greenwich, Pilgrimages, Southwark, Winchester and tagged coaching inn, ghost, ghosts, spiritual. Bookmark the permalink. cool! I was going to stay there whilst on my Chaucerian walk…however on visiting said pub I am very glad I did not! it was very noisy. instead I had a drink at the bar and left. ‘sfunny how experiences of a place can be so different! When I stopped in there it was a quiet Thursday night – with only a few locals coming and going. I think it’s likely to be a different story on a Friday or at weekends however – as it is in most tourist places around London (especially where I live – just off Portobello Road in Notting Hill). Anyway, let’s try heading there on an off night when we can have the place to ourselves – perhaps on the Sunday of the August bank holiday weekend for instance.